We overcame governmental gridlock and NIMBYist pushback to get here, but it’s finally happened: Weed is legal in Massachusetts, and we’ve reached a critical mass of recreational marijuana dispensaries. The only catch? None of them are in Boston proper, so behold your newest excuse for a road trip. 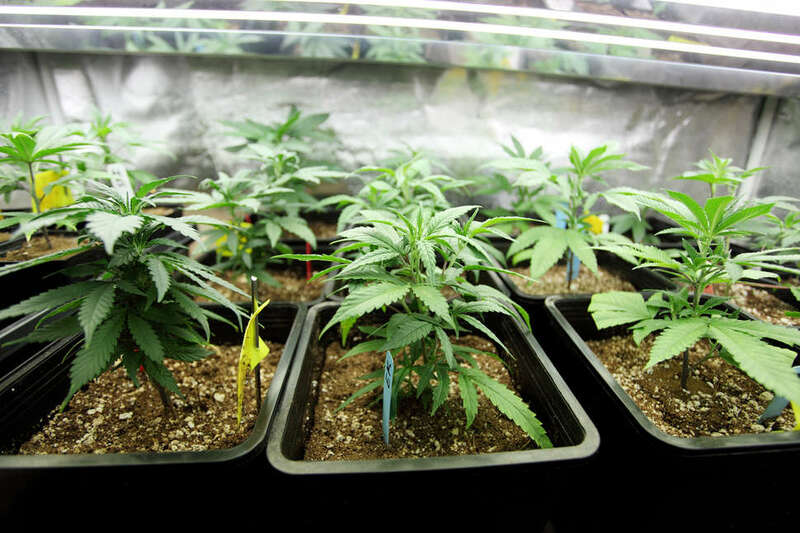 Before you begin your dispensary-hopping, though, you should arm yourself with some general-info tidbits. For starters, the state limit is one ounce total, but some outlets have stricter buying regulations. Almost all of our state’s adult-use dispensaries started out as medicinal outlets and still serve that population; check your disappointment if some products aren’t yet sold to the recreational crowd. Cannabis and credit cards are not yet friends in Massachusetts, so cash is king (most dispensaries have ATMs on site). And finally, some spots accept online orders to save you time -- but then again, what’s your rush, man? These moments are meant to be savored. The only recreational dispensary currently located in Greater Boston, NETA Brookline is housed inside a beautiful, converted bank, all high ceilings and ornate dark wood; the only difference is that the “tellers” traffic in the doob. The menu is comparable to its Northampton counterpart, though its location and relative newness mean product is likely to run out more quickly. Bonus points go to the staff members for their friendly but no-nonsense attitude (not every dispensary visitor seeks a woo-woo experience). Nearby natural high: Blossom Bar’s cocktail menu isn’t exactly about non-chemical rushes, but the Szechuan cuisine sure is. Part of the Pharmacann dispensary family currently spread out across eight states, Verilife traffics in locally produced flower, concentrates, pre-rolls, cartridges, and Pax pods. Your edibles edification could easily begin here, with choices ranging between caramels, chewables, and both milk and white chocolate bars. 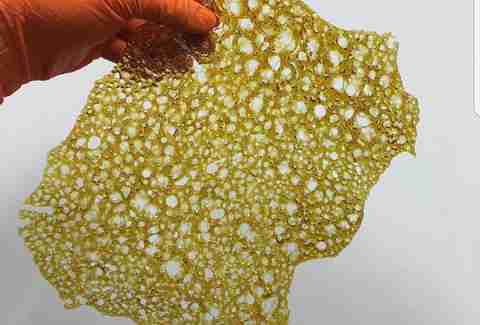 There’s even a transdermal patch (CBD or THC), which can dispense the drug at a low level over a sustained period of time. Here you’re limited to half an ounce and three more transactions. Nearby natural high: Onset Village boasts a beautiful, calm-water beach and a day’s worth of shopping. 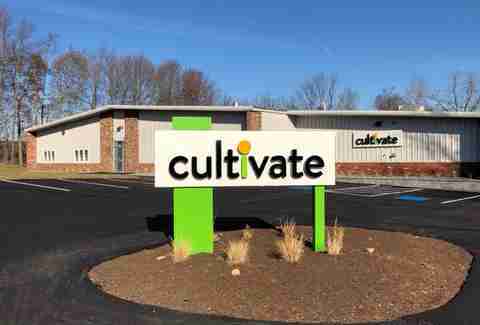 With a name like Cultivate, you’d expect a farm-like approach to their product, and the dispensary doesn’t disappoint: “seed to table” is Cultivate’s governing philosophy. The lineup of flower, pre-rolls, wax, and vape cartridges is impressive, but how intriguing is that infused olive oil? And no one ever went wrong bringing cannabis chocolate chip cookies as a housewarming gift. Nearby natural high: Leicester Drive-In is one of the state’s very last drive-in movie theaters. Northeast Alternatives (NEA) has a poignant back story. At age 19, founder Chris Harkins witnessed the deep suffering his mom experienced from the cancer that would eventually take her life; when his dad was diagnosed with cancer years later, Harkins sought alternative treatments to alleviate pain and learned more about the efficacy of cannabis. NEA today sells flower, pre-rolls, concentrate, edibles, and vape cartridges; its unique selling proposition has to be its sativa energy drink with notes of cherry and pineapple. Nearby natural high: There’s a lovely state forest for hiking, but who are we kidding? The Lizzie Borden House beckons. There’s the standard lineup of flower, pre-rolls, vape cartridges, and concentrates, but INSA also offers the Dart Pod, CCell’s vape system that’s lighter and boasts more vapor production than standard cartridges. Most intriguing of all are the bath salts, guaranteed to give you the most relaxing tubby time ever. As for the rules: You’re limited to a quarter ounce of flower, two pre-rolls, two “slim” pre-rolls, one of each concentrate, one edible, one vape, and one five-pack of pre-rolls. Whew. Nearby natural high: Mount Tom State Reservation is a one-stop nature hit. This was the state’s first recreational dispensary, and when it opened, the wait times were measured in hours and parking spots were miles away. Things have since calmed down, it's still worth the visit. The menu inside this spa-like space is impressive: a variety of flower and pre-rolls; many edibles, including gummies, lozenges, and even chocolate chip brownies; and a fine-mist inhaler. Their cartridges start with the basic Rempen and the purer Apex, plus their proprietary Rubi (everything else fits the 510 vape cartridge standard). Quantity limits are a tad strict here, but at least the restrictions on edibles have been lifted. If this ain’t your first cannabis rodeo, reserve your products ahead via the NETA app. Nearby natural high: Once you’ve explored the nearby parks and the downtown shopping scene, a soak at East Heaven Hot Tubs will bring you to a higher plane. Of course you want your weed to be organic. 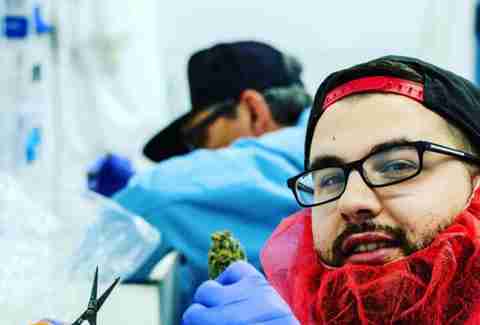 At least, you do if you’ve made your way to Sanctuary, a small roadside dispensary that prides itself on the high-quality cultivation of its products. It sells a variety of flower and pre-rolls, plus vape cartridges and a dash of concentrates. Among the edibles are watermelon fruit chews and butterscotch lozenges, but we’re betting you’re going straight for the peanut butter cookies. Walk-ins are now welcome, but those who schedule a free one-on-one consultation get first priority (just print out a copy of your reservation). And you’re only capped at the state-limit full ounce, so go to town. Nearby natural high: Dunn State Park includes a swimmable pond, hiking trails, a new bike trail, and a summertime ice cream truck. “Seed to sale” is the new “farm to table,” and Theory is a trailblazer. Its small-batch product is grown in Bridgewater and sent west: A good variety of flowers with two sizes of pre-rolls, plus cartridges, Pax pods, and concentrates. They also have plenty of edibles, tinctures, and an “extra strength” body oil that won’t get you high, but will definitely ease tightness. We’re also sold on the dispensary itself, a gorgeous white-on-white space with funky mid-century seating, grass wallpaper, and a cool marijuana mural (muraluana?). Nearby natural high: The entirety of this Southern Berkshires town is a charmer, from its farmers market to its Brooklyn-like dining scene to its hundreds of hiking trails. Patriot runs one of the few medicinal dispensaries in Boston proper and now has added two adult-use spots to its repertoire. (The second recreational dispensary lives in Lowell, but the product is more limited.) The flower menu is impressive -- 11 varietals currently, plus more than 20 prerolls. Will the weed massage oil give your shoulders the munchies? Only one way to find out. The tinctures are sourced from Revolutionary Clinics, a celebrated medical dispensary in Somerville and Cambridge, and include its new Quench Tincture, designed as a cocktail replacement. Once again, your only cap here is the state-limit full ounce. Nearby natural high: Greenfield’s Crossroads Cultural District includes a used-record store, an indie bookshop, and Wilson’s Department Store, a 130-year-old relic of a bygone, small-town era. Pittsfield is clearly the Highest Town in Massachusetts, given its two different recreational dispensaries when most Massachusetts towns don’t even have one (Temescal Wellness is the other). Berkshire Roots, which just opened on April 6, boasts the largest growing operation in Western Mass, and their robust flower selection backs it up. They have pre-rolls and a selection of concentrates as well as gummies, chocolate, and four different tinctures, all made in-house. Never mind that you’ll feel like you’ve walked into an REI, the space is so calm and modern. Nearby natural high: Hancock Shaker Village for farm dining and goat yoga, and Pittsfield State Forest for waterfall hikes and the famous Balance Rock.